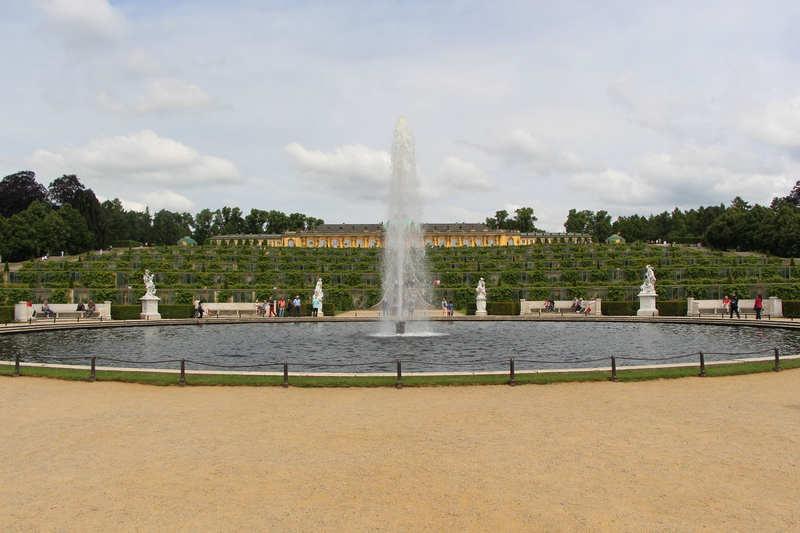 as often as you like and to explore Potsdam individually. All tickets are also available directly at the bus. of our stops, and to continue the tour from there with later busses. Explore the beautiful baroque old town of Potsdam and admire the imposing castles with their lovingly landscaped gardens. We offer you twelve different stops so you decide what you want to see and when. There are plenty of interesting spots to walk around. 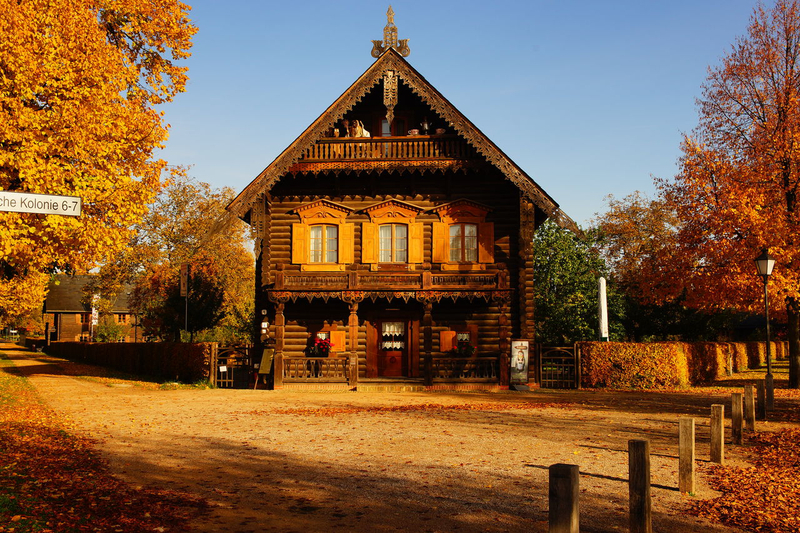 Drive through Potsdam's inner city and through the Dutch Quarter to the Glienicker Bridge and explore “Alexandrowka”, the colony of traditional russian wooden houses known as "Little Siberia." 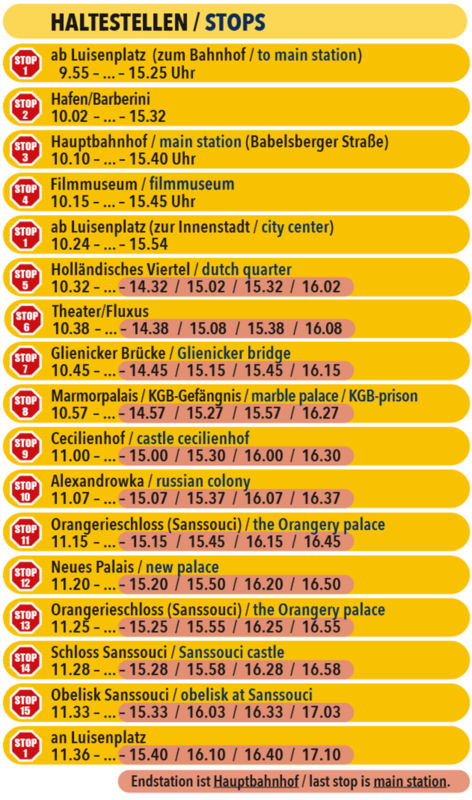 See the grave of Frederick II, learn everything about the "Forbidden City" (a former KGB-Town) and hear exciting anecdotes. 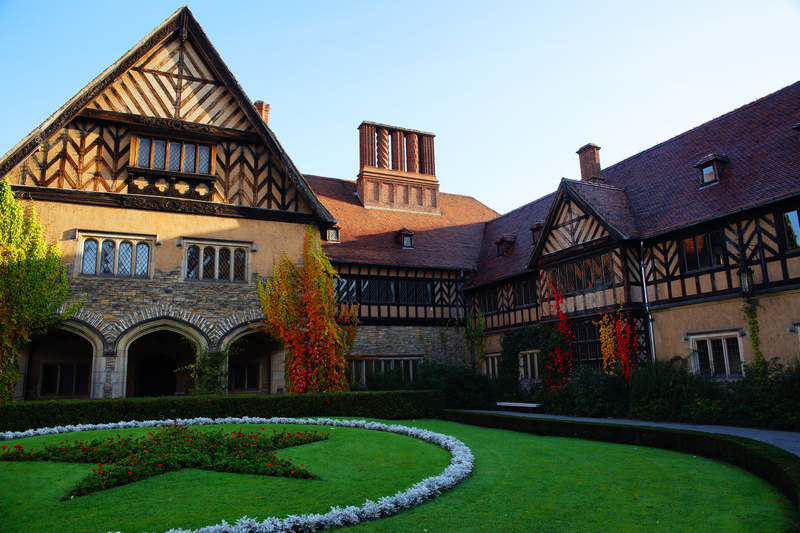 Experience the beautiful sights and impressive castles of Potsdam on this interesting and entertaining Potsdam-City -Tour on the trail of the prussian kings. 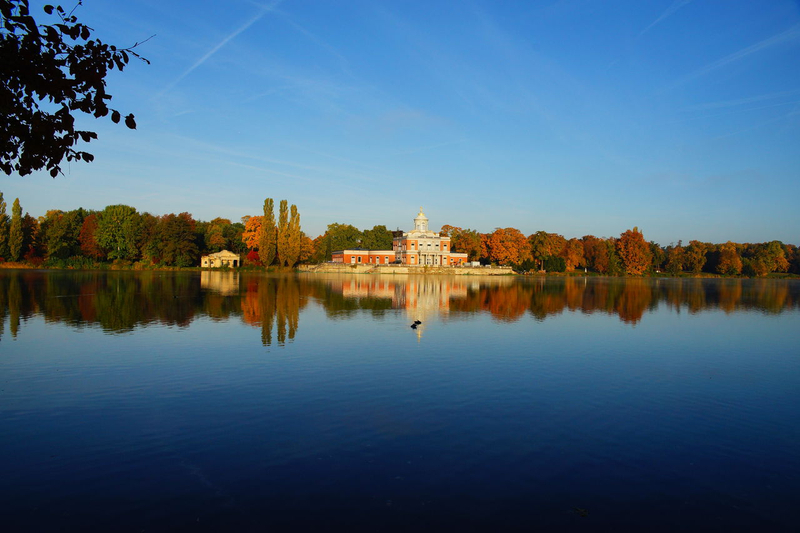 Finally, discover the famous New Palace and the landscape of Potsdam. Walk past beautiful gardens and admire the biggest palace in Potsdam before spending the afternoon perhaps relaxing in the city.